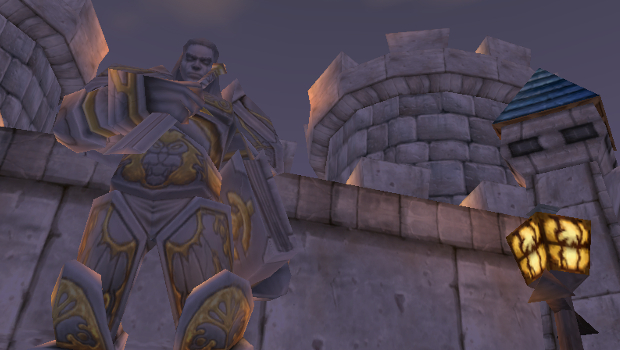 King Llane Wrynn I was the beloved ruler of Stormwind — also called the kingdom of Azeroth in some texts. Why was he so beloved? Because he did his best to rule during a period of history that was arguably Azeroth’s most turbulent to date: the start of the First War, and the beginning of what spiraled into the current continuing struggle between orc and human. And despite being in the midst of chaos, Llane ruled with a sense of wisdom and compassion that was passed, if not to his son Varian, down to his grandson and namesake, Anduin Llane Wrynn. Most of King Llane’s history is wrapped up in old Warcraft manuals and in the original Warcraft: Orcs vs. Humans RTS game. Because of this, many of today’s World of Warcraft players might not be familiar with King Llane, other than his death — a death that played a very important part in shaping the future of his son. 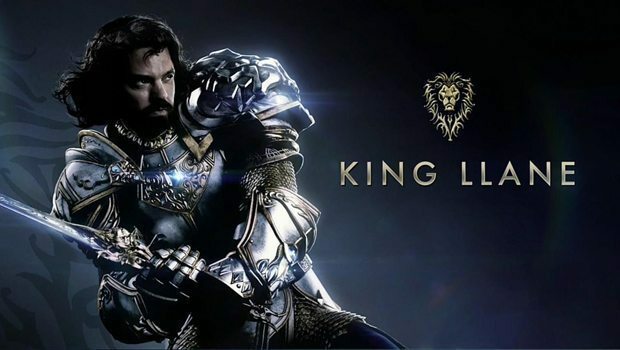 With the Warcraft movie set to release in a little under a year, we’re going to see King Llane Wrynn as never before, and witness the events that shaped World of Warcraft on the big screen. There are two names used when talking about the early days of Warcraft and where it took place — the Kingdom of Azeroth, and Stormwind. 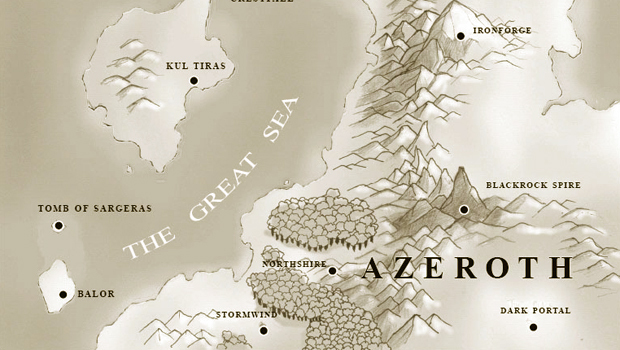 Before we get too confused, yes, the planet is called Azeroth, and so was the kingdom — much like you’ve got the Kingdom of Lordaeron. Lordaeron’s capital was Lordaeron (also called Capital City), and Azeroth’s capital is Stormwind. The name of the kingdom has pretty much been called Stormwind ever since, likely to ease any confusion regarding planet vs. human kingdom. In his youth, Llane Wrynn had two very good friends — Anduin Lothar, and the son of the court sorcerer, Medivh. They spent plenty of time together in their youth, but when Medivh came of age, he also came into his power. The resultant surge of power not only sent him into a coma, it killed his father in the process. Other than that unfortunate occurrence, Llane’s childhood was largely uneventful. He came of age and was crowned Prince of Azeroth, and at some point after, the orcs stormed through the Dark Portal and attacked Azeroth. Llane had not in fact been crowned king when the First War began. His father King Adamant Wrynn III still ruled, although his rule was about to come to an end. When Adamant was killed in combat, Llane was crowned King, just at the onset of the First War, leaving him to try and successfully lead the kingdom through a chaos it had never before seen. And he was successful, too — the orcs remained confined largely to the Swamp of Sorrows and surrounding areas. Although he did his best to keep the orcish Horde at bay, Llane and Lothar could never quite determine just how many orcs the Horde actually had. And Llane made two critical missteps in his reign that ended up toppling Stormwind for good. Unfortunately for Llane, both were errors in trusting entirely the wrong people. First, while Medivh had awoken from his coma, and was assumed to be helping Llane and his armies against the orcs, it was revealed that Medivh was actually the person who had let the orcs into Azeroth by opening the Dark Portal in the first place. But when Medivh’s apprentice, Khadgar, and the half-orc Garona brought this to Llane’s attention, he simply couldn’t believe that Medivh would ever do such a thing. And maybe he was right, in a way — his childhood friend would never have betrayed him. But when Medivh came of age, he also came firmly under control of the dark being that dwelt within him: Sargeras, leader of the Burning Legion. Yet Llane insisted in placing his trust in Medivh, and when the last Guardian was confronted and beheaded in Karazhan, the war quickly spiraled out of control. Seeking to free the Horde from demonic corruption, Orgrim Doomhammer killed Warchief Blackhand and seized control of the Horde. And under his leadership, the Horde rose up as never before, slamming into the kingdom and systematically conquering it. Which is when Llane’s second error in judgment occurred — he trusted the half-orc Garona, who was secretly a pawn of the Shadow Council. And as the Horde forces crushed Stormwind, she made her way to its throne room, found Llane Wrynn, and murdered him, carving out his heart. There is a pretty weird little story in the Warcraft I manual about the day that Llane reached the age of ascension, and was officially given the title of Prince of Azeroth. In the story, at the evening feast with the family, Llane was visited by Medivh, who came to repay the court for their kindness in keeping him safe while he was in his coma, and also to give Llane a gift for his ascension. The gift was an hourglass, black as night, with sand the color of snow, and although the sands flowed as any normal hourglass would, the top never seemed to empty. Medivh said the sand represented the people of the kingdom, and as long as the hourglass never emptied, the kingdom would prosper. Neat parlor trick, but in the end it actually came to pass. The day the orcs first attacked, Llane was horrified to discover that the sand had actually emptied into the lower half of the hourglass, and ran to tell his father. As the last sands trickled from top to bottom, the orcs attacked in earnest. While this story is in the Warcraft I manual, the timeline doesn’t actually match up with what we learned about Medivh in the novel The Last Guardian — which means this particular tale is either no longer canon and completely untrue, or maybe partially true, but changed over time as the story was passed on from person to person over the course of Azeroth’s history. Given that neither Llane, his parents, or Medivh are alive today, it’s hard to say. Llane’s story, such as it is, seems tragically short in comparison to most of Azeroth’s familiar faces and heroes — and a lot of that has to do with when he was prevalent in history. His only appearance in lore was pretty much that first Warcraft RTS title, created twenty years ago, long before the expansive Warcraft universe was fleshed out. What we do know is this: Llane was beloved by the kingdom, he raised his son with all the kindness and care he could muster, and he was at his heart a compassionate soul. He was the only human Garona knew who treated her with kindness and respect — and the last thing she wanted to do was kill him, but she was a tool of the Shadow Council, bound and ensorcelled to carry out the organization’s commands. She didn’t have a choice. Because we have such a lack of material on Llane, it’s going to be interesting to see him in the Warcraft movie, and see what they’ve decided to do with his character in this particular adaptation of the First War. We know, already, that the story is going to be different somehow, because Ruth Negga was cast as Lady Taria, Queen-consort of Stormwind — a brand new character that has never before been mentioned in Warcraft lore. This points to the movie being a new version of that twenty year old tale, one that’s been fleshed out and made far more suitable for the big screen. In other words, I wouldn’t expect to walk into the theaters and see Warcraft: Orcs vs. Humans play out. We’re going to see an entirely different story here. Most of the expanded lore we’ve been given over the years has involved the Horde side of the equation. 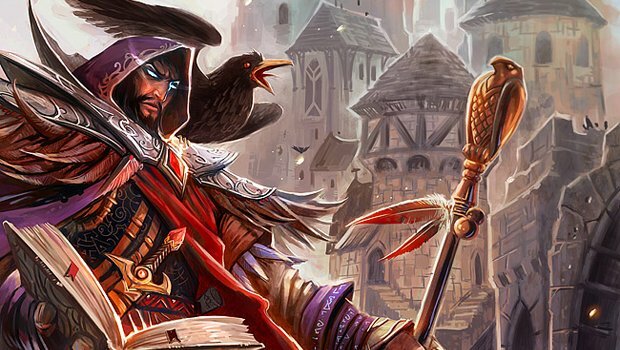 Rise of the Horde told a lot of the Horde story, The Last Guardian told a bit of the Alliance’s, but mostly from the perspective of Khadgar, who spent the majority of the book with Medivh. So I’m really interested in seeing what they do with the Alliance tale here and how they flesh it out, particularly in the case of King Llane, because his death still impacts the game we play today. His death shaped King Varian Wrynn into the man and king he is now, and fueled a lifetime of hatred in Stormwind’s king that seems almost insurmountable. We’ll see how this story plays out, and more about the man King Llane truly was, when the Warcraft movie hits theaters next year.